“Shipping, Forwarding & Logistics meets the Industry” has the aim of bringing together national logistics operators and users of logistics services – within one venue. The third edition will cover the topics that relate to the reinforcement of the national land and sea logistics system, facing the possible actions that can be taken to strengthen it in order to push the overall Italian industrial system towards further growth. The two-day event will be heated by various sessions and speakers, that will cover topics of interest for various sectors and industries. Session will also be backed up by networking breaks, to spark discussion and promote confrontation and exchange of ideas between industry players, associations, media and visitors. 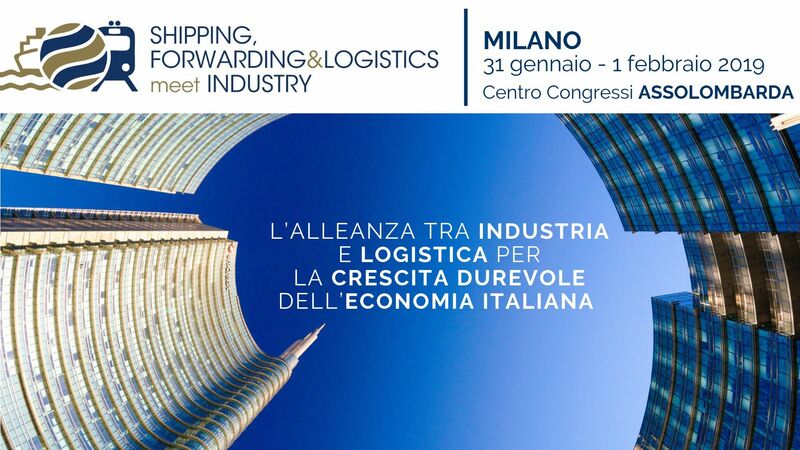 Contship Italia will be present as Silver Sponsor of the event and as promoter of port and logistics infrastructures since 1969. Representatives from Contship and SRM (Studi e Ricerche per il Mezzogiorno) will be discussing the new study issued in partnership that contains a qualitative and quantitative analysis of logistics corridors and the efficiency of territories in northern Italy, with a focus on the regions of Lombardia, Emilia Romagna and Veneto. Valuable output of the research is the QLI2 indicator (Quality Logistics Italian Index) that synthesizes the “sentiment” of logistics players that participated in the research.